Download the small, medium, or large image. This year we have been very innovative with our design. We designed every subsystem with love and built it with sweat. Use the links below to find out more about the specific sub-system components. Feel free to discuss our robot over on our thread on Chief-Delphi. 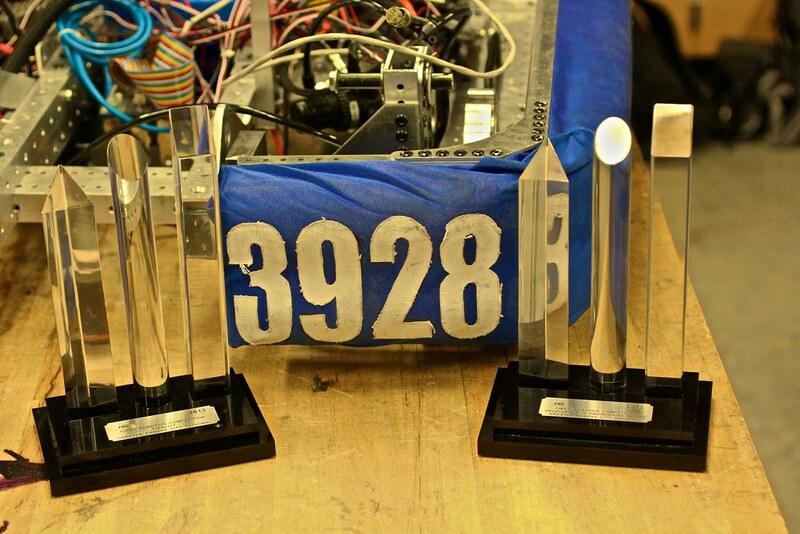 We have recently won the Engineering Excellence Award sponsored by Delphi at the Kansas City Regional for our innovative design and accurate performance of our drive train, pickup mechanism, shooter, and Kraken 1.0 Rev 1. We also brought home second Regional Finalist as well. * These mechanisms are not current mechanisms. ** This robot isn’t exactly FIRST legal, as it uses muscles and weights a tad over the 120 pound weight limit. 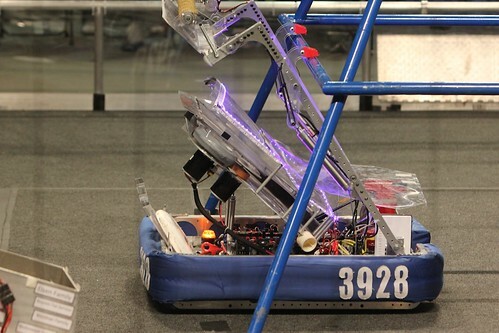 Please note that we have modified the competition bot from the included CAD models.